My daughter love cars. She loves cars, trucks, trains & planes. It is probably no surprise then, that she also loves movies like Planes and Cars. 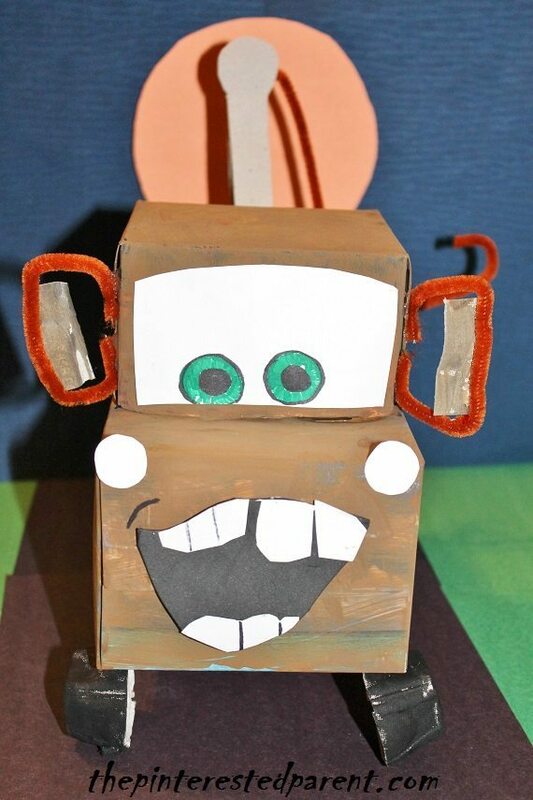 One of the most memorable characters from Cars is Tow Mater. In my daughter’s eyes all pick-up trucks are him. We go through a lot of tissues in our house. My husband keeps a box in every room. We ran out of a couple of boxes of tissues last week & my daughter told her father that he needed to save them for me. “Mama, will probably want them for a craft.” I love that kid. She knows me so well. She was right. 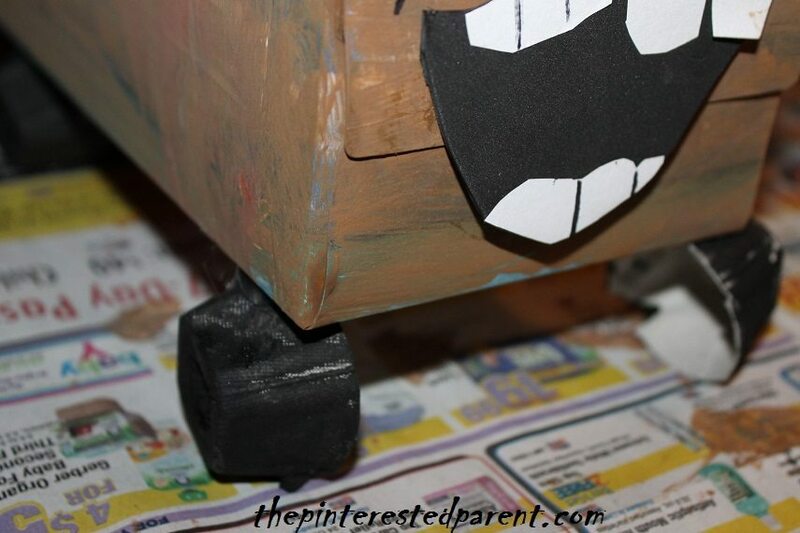 They were perfect for our Tow Mater craft. 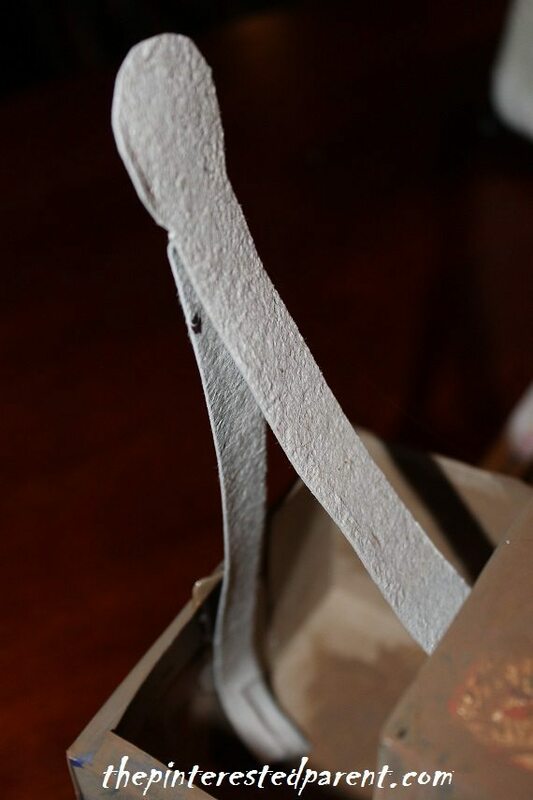 Hot glue gun (Please use caution when operating the glue gun. Adult operation is recommended. Cut the cube tissue box, leaving about 1/3 of the box. 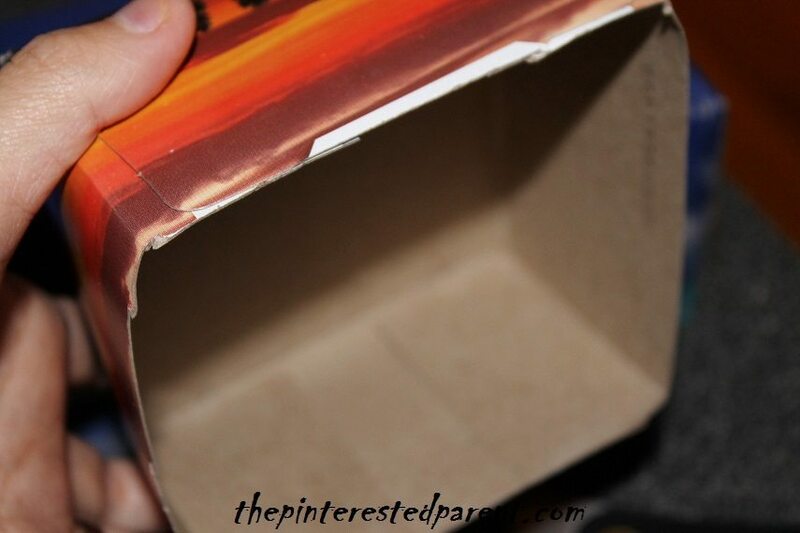 Cut half of the top of the rectangular box off. 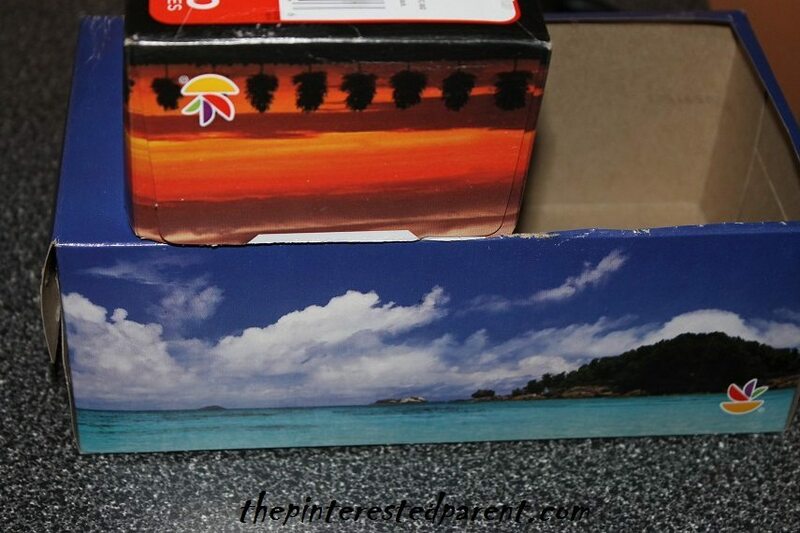 Glue the cube to the top of the rectangular box as shown. Swirl the brown & orange paint. Do not blend completely. 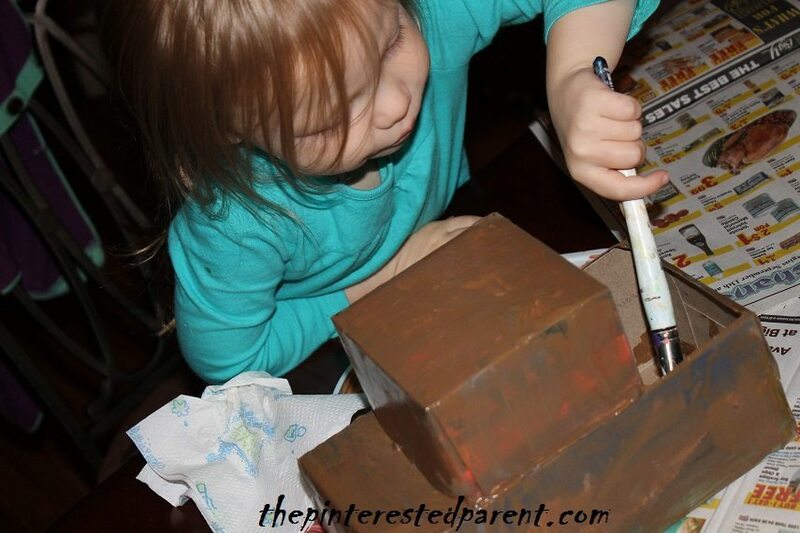 Paint both boxes. With the paint. 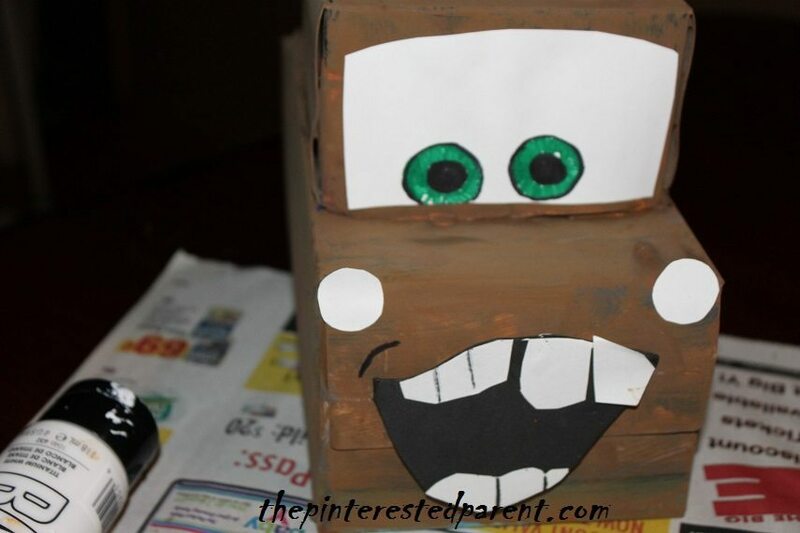 The best part is that the paint does not need to be perfect because Tow Mater is rusty. 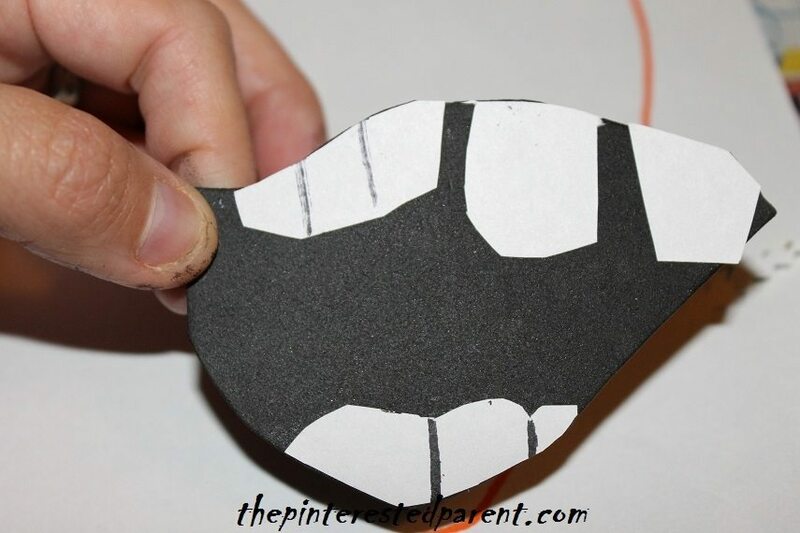 Cut a crooked mouth & teeth out of construction paper. 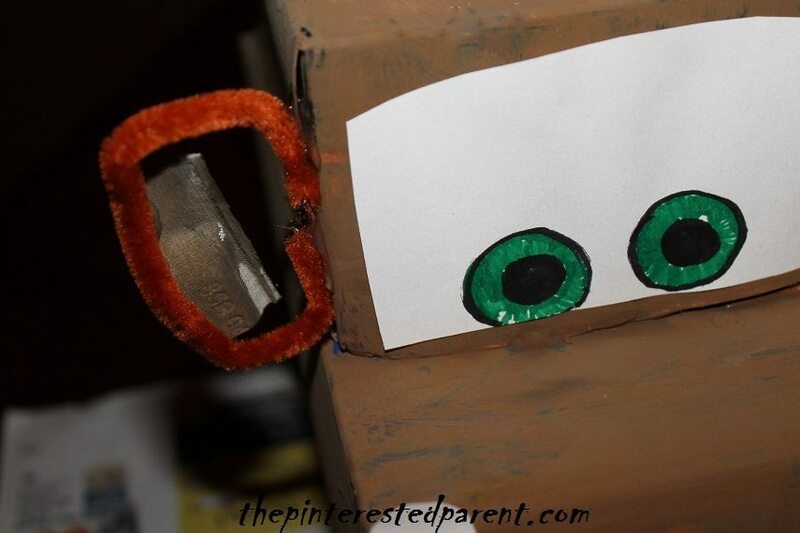 Cut the front window out of construction paper & draw in the eyes. Glue the window & mouth in place and cut out two headlights. 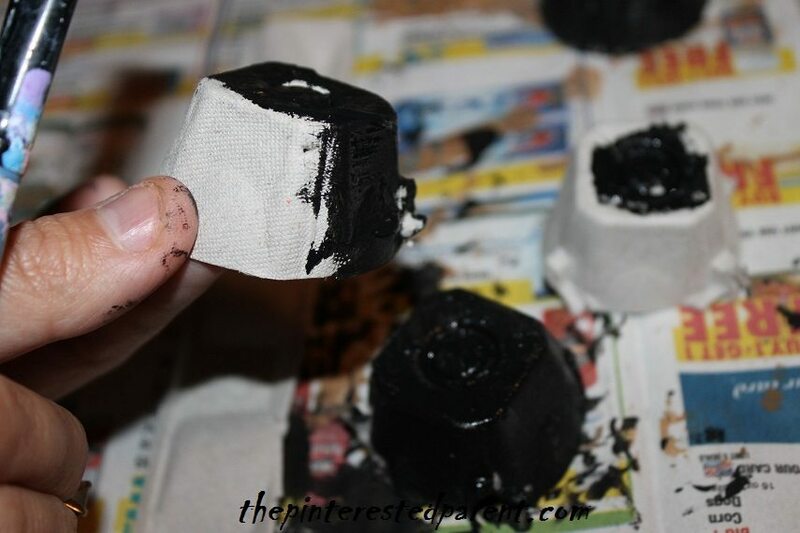 Paint 4 egg carton pieces black and let them dry. Glue the egg carton pieces on for wheels. 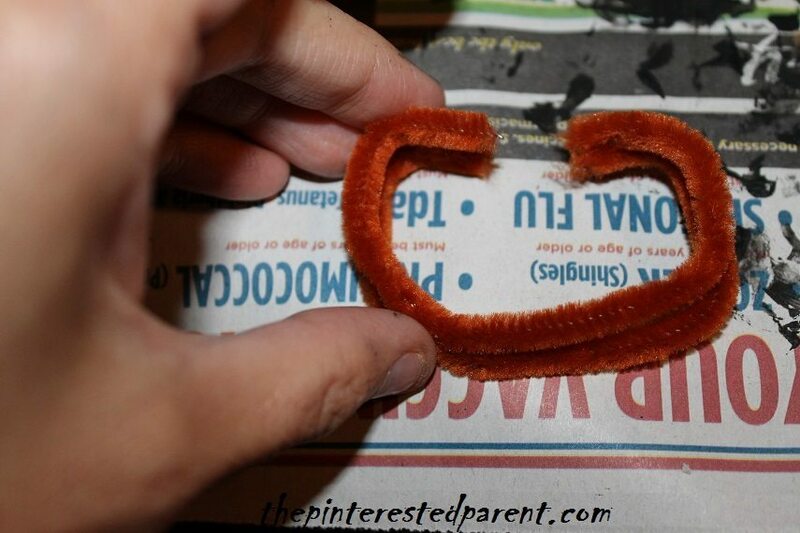 Cut a brown piece of pipe cleaner in half & fold as shown. Glue the pipe cleaners to the side of the top tier. Cut two rectangles out of egg carton & glue the rectangles in the pipe cleaners to for the rear view windows. Cut two pieces out of the egg carton cover for the tow. Glue them to the open pick-up portion of the truck as shown. Glue a pipe cleaner off the end of the tow to finish it off. My daughter was so happy with the finished truck. Tow Mater has had a busy couple of days towing all of my daughter’s toys. Thanks! Mai has been abusing him though. He has been doing cartwheels and flips all over the house. He has held up surprisingly well for all of the abuse. We had one wheel injury that has since been fixed. lol!